The kit arrived From Trinity quite quickly, within a week. I opened up the surprisingly small package and found everything nicely packed and well organized. The first thing I did was to lay out all the packages and do an inventory. 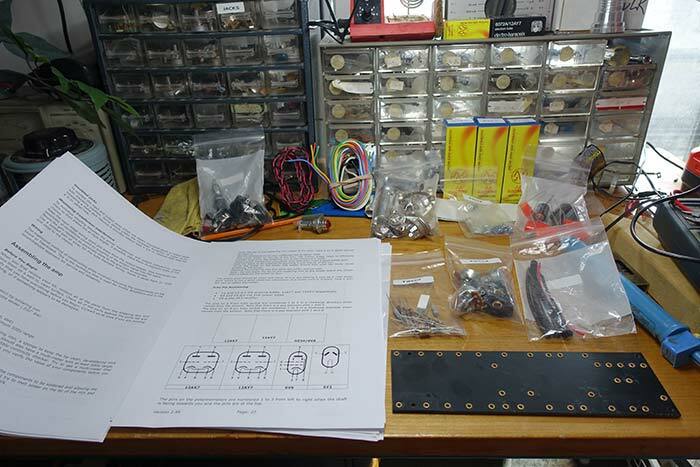 Before I get too far into it, I should say that this kit came with an extensive set of documents that covered the entire build process from beginning to end. 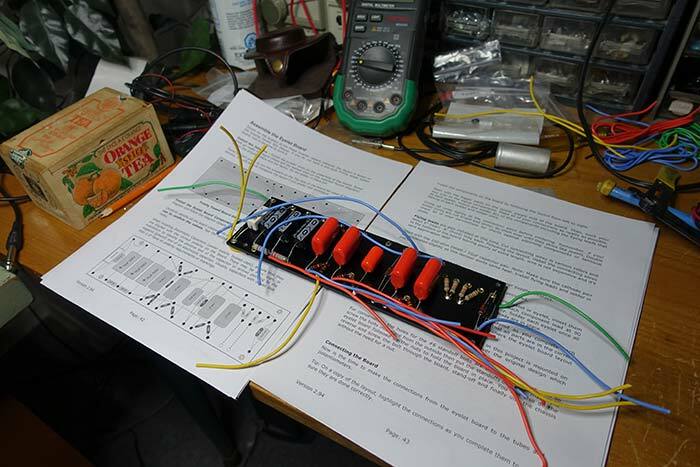 In fact, my usual practice of laying out all the parts was right there in the step-by-step instructions. 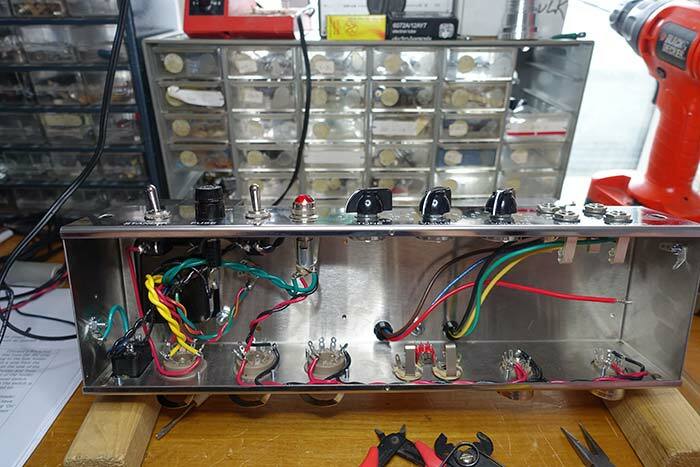 By the time you reach this point in the build, the biggest changes from a vintage amp are apparent. 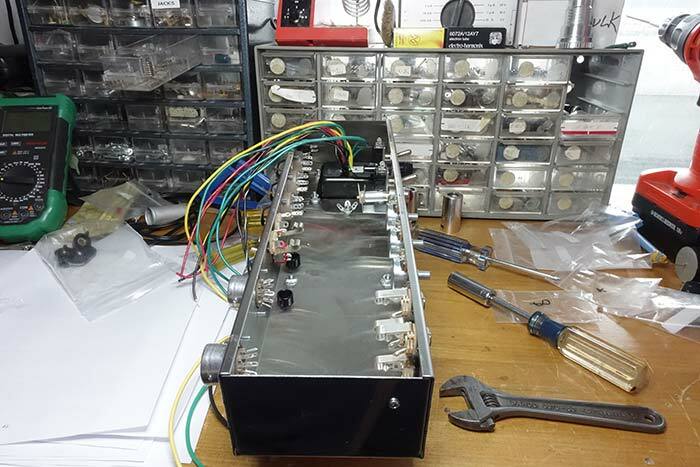 In the old amps they had a very thin brass plate that ran along the top of the chassis, right under the controls and input jacks. This Trinity version of the 5E3 doesn’t use it. 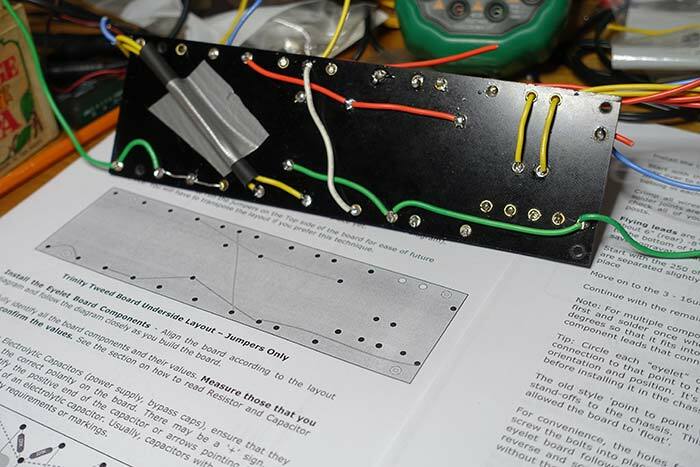 The purpose of that plate was to provide a common ground point for the controls, jacks and related components. Trinity has gone a completely different direction. They have used a star grounding system that creates 2 chassis ground points. 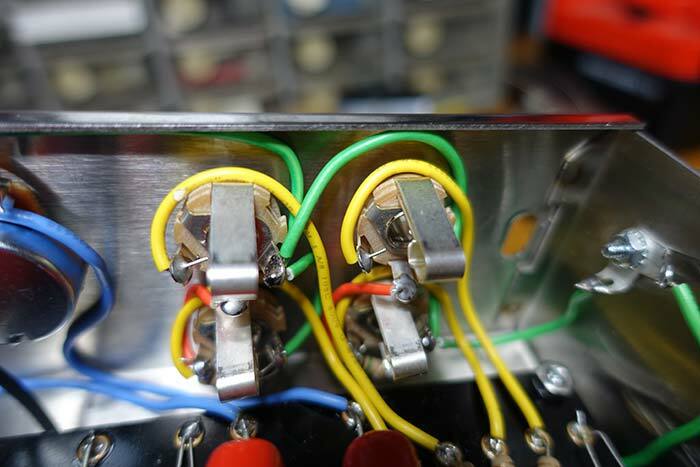 One on the left for the power supply and one on the right for the inputs and controls. In addition, the input jacks use insulating washers to isolate them from the chassis. 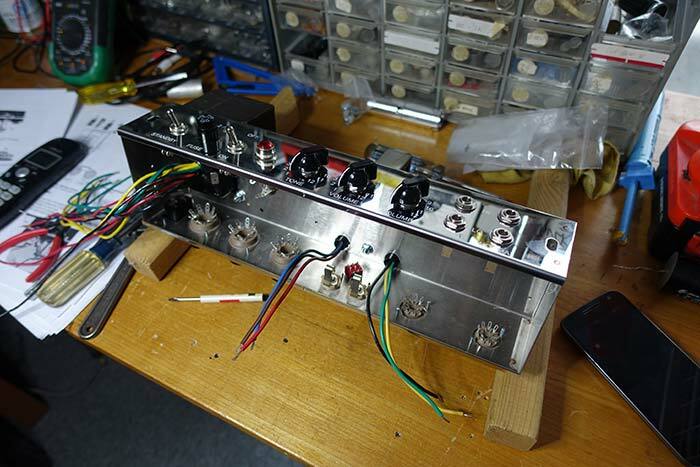 The purpose is to prevent ground loops that could cause hum. This makes for some extra wiring particularly at the input jacks. The board provided in the kit is extra thick with deep eyelets. 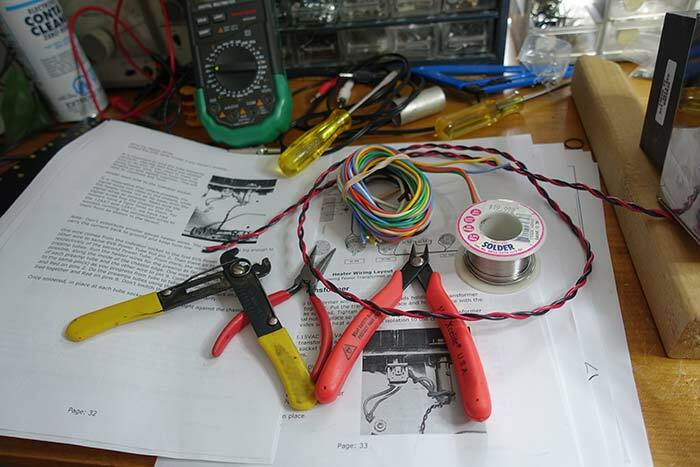 You’ll need the same tools as you used for the chassis wiring. This is where you’ll find a change from the vintage 5E3 layout. 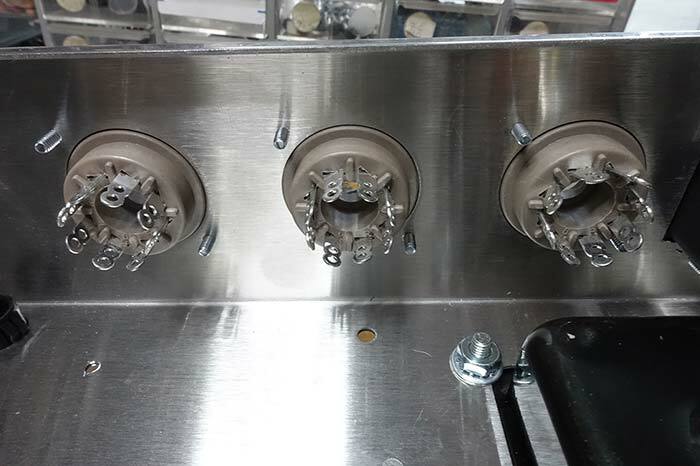 Trinity has repositioned the phase invertor components to a location between the coupling caps for the output tubes. 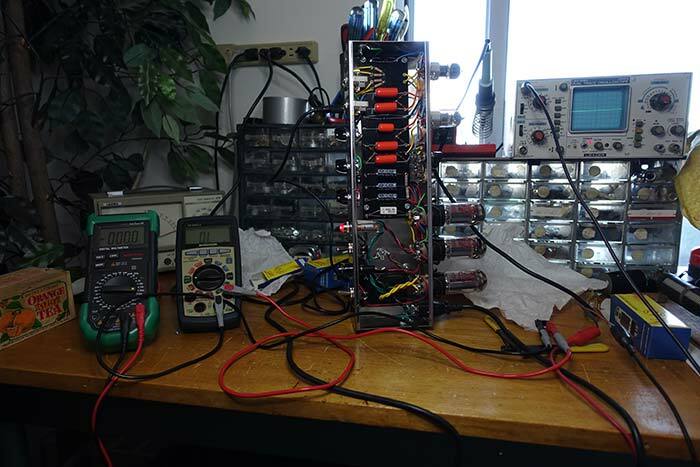 Electrically the connections are the same but relocating these components moves them away from the power supply and potential noise. Once again I install all the board components moving left to right across the board. Start with the power supply caps and move across. 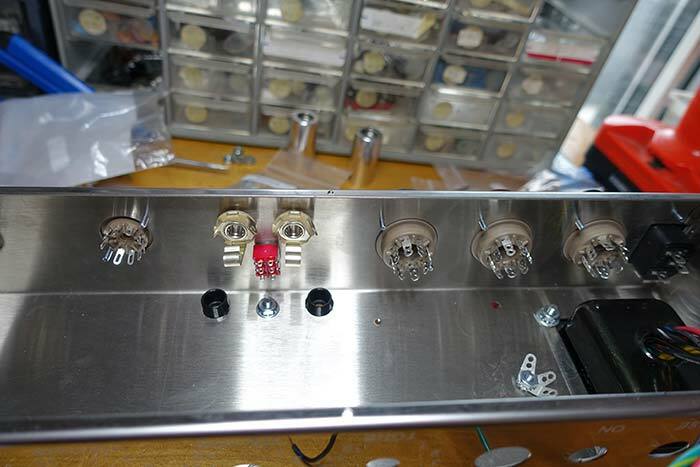 I like to install the components with the leads going completely through the eyelets before initial soldering. The resistors don’t have to be oriented any particular way. I like to orient them all in the same direction just for looks. The polypropylene caps (the orange ones) are not polarized so orientation doesn’t really matter. You may read that there’s actually an out foil layer connected to one of the leads. While this is true, the labeling on most of these caps is random from the factory and depends on which way they went through the labeling machine. 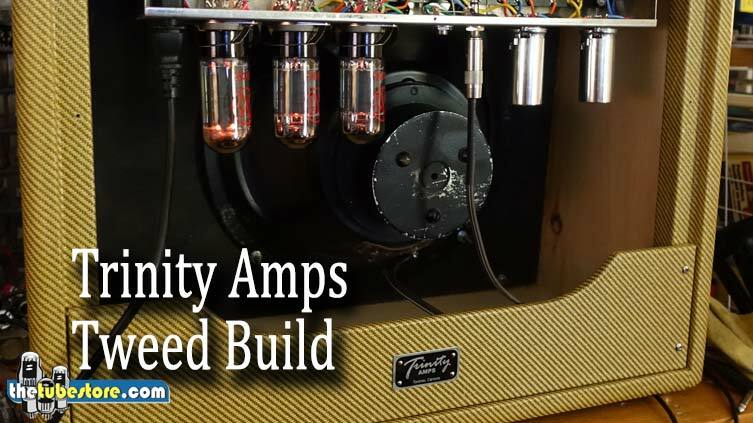 If you’ve never played an original, the first thing you should know is that no two amps ever sound the same. There is no standard for 5E3 tone. There is however a vibe that they all share. It’s a very simple circuit that can go from clean and sparkly to raw and aggressive. There are other shared characteristics such as the interactive nature of the volume and tone controls that have become sort of legendary. This kit delivers all of it and the amp is very responsive to your instrument and playing style. 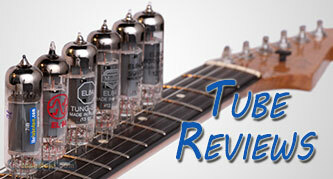 A change from single coils to humbuckers will give you a whole new pallet of tone to work with. 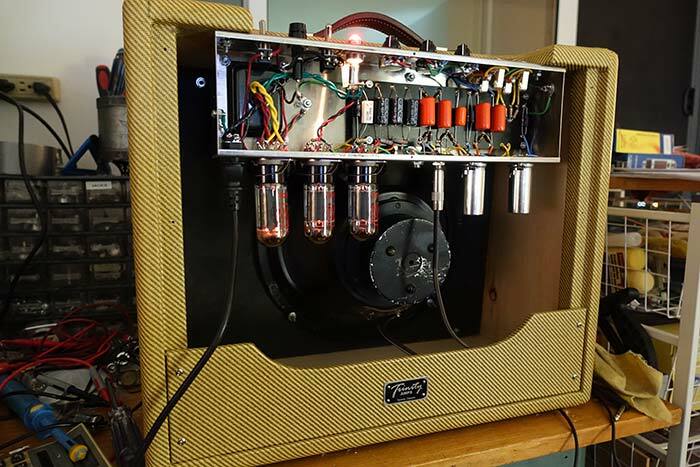 Trinity has captured the Tweed vibe and tone quite nicely. 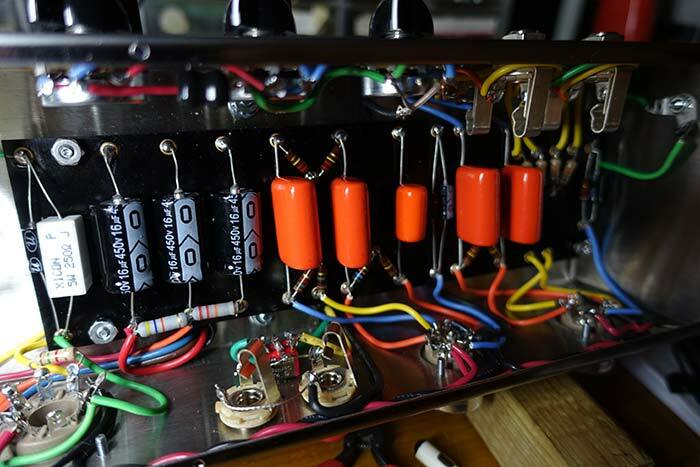 The improved circuit design makes this amp virtually noise free. 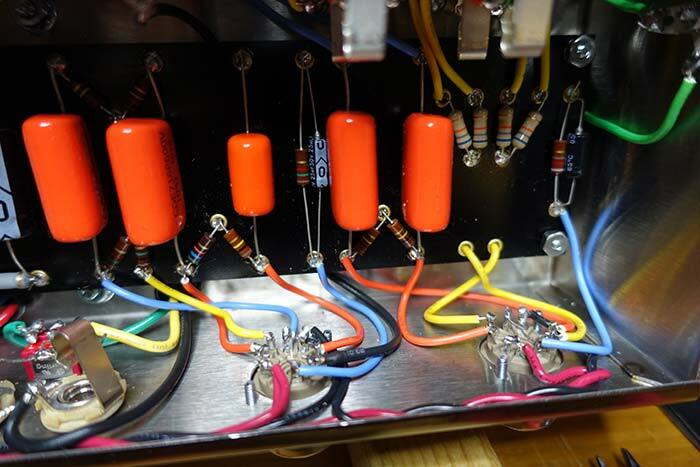 If you hear hum, check your guitar or cable. 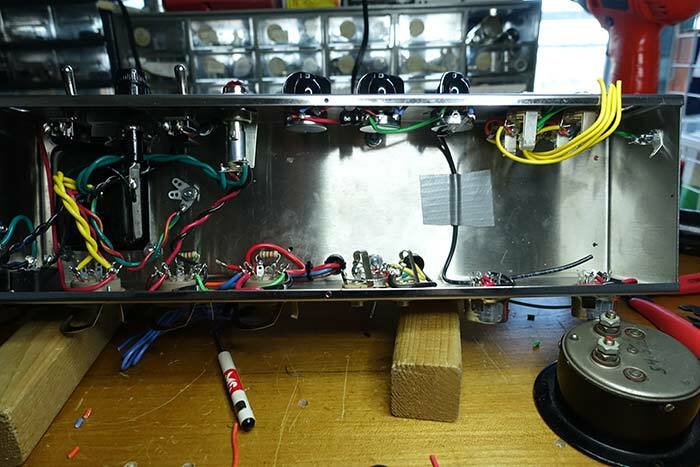 For more amp build information by John Templeton, check out his 3 part series on our blog “If You Can’t Find It, Build It DIY Amp“. Great Review John. Very informative and detailed. Good advice as well! !